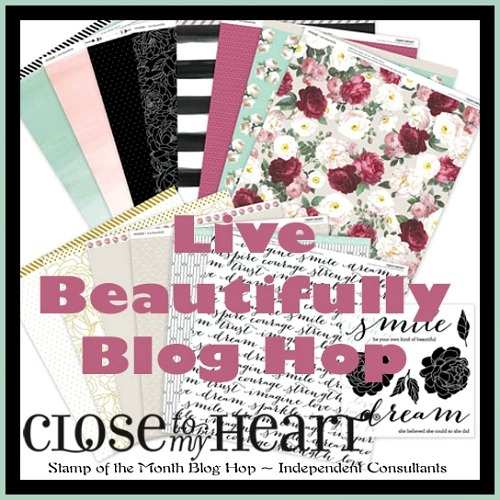 Welcome to our National Scrapbooking Month Blog Hop! 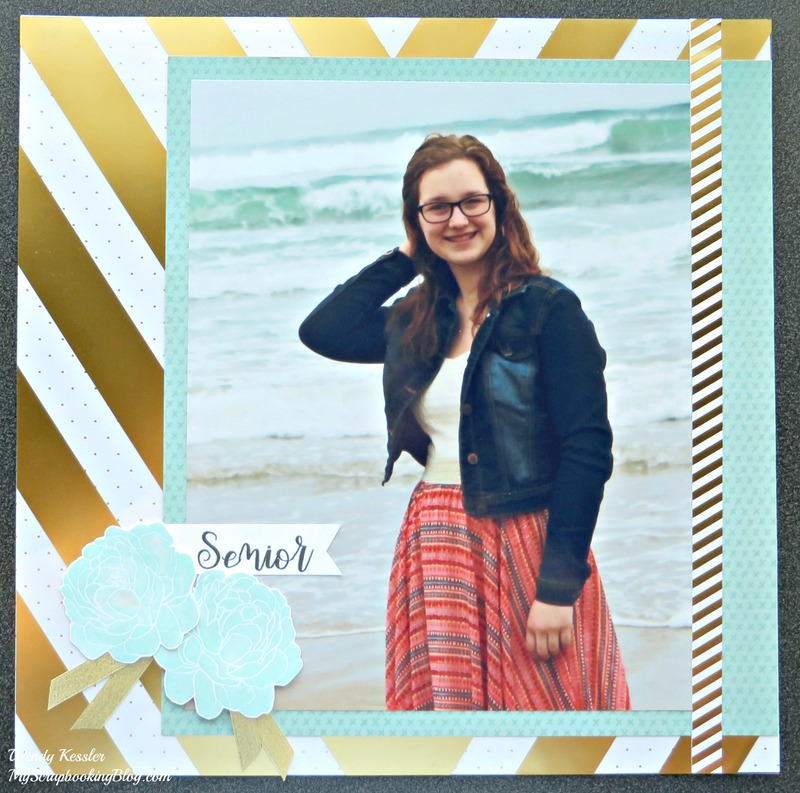 We will be featuring this month’s special: Live Beautifully Collection. 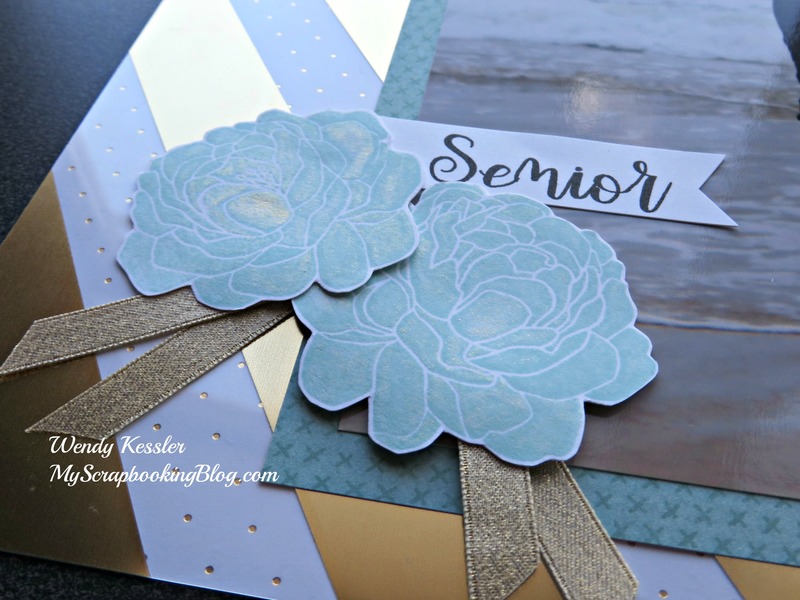 Supplies used: Live Beautifully Paper Pack (May special), All About the Gold Fundamentals, White Daisy Cardstock, Live Beautifully stamp set (May special), Sea Glass ink, Black ink, Bistro Script Alphabet, Uptown Ribbon Pack, and Gold Shimmer Brush. Here’s a closeup of the flowers to try and show you the gold shimmer. I would recommend “coloring” each section separately (as opposed to brushing over the entire area). It gives it a much cleaner/crisper look. Choose which is the best variation of this special for you! Love this with the overlay. This is a lovely layout. What a beautiful way to honor this special occasion! Lovely layout! I really like the gold background. I also like the way you used the gold ribbon with the flowers. Great layout to commemorate such a special time! The flowers are beautiful!I’m going to miss the seaglass when its gone!! Amazing! I love how you used some of the fundamentals with this.